A 48-year-old Briton has died in hospital in Britain after over a year on life support after being attacked in a Thai beach resort. Paul Ayling, from Thorpe Bay, Essex, had been attacked in Hua Hin, 140 miles south of Bangkok . The British Embassy in Bangkok have notified Thai police who confirm the matter is now a murder enquiry. Embassy officials notified police both at national and provincial levels. The matter has been reported to the Coroner’s Office in Chelmsford, Essex, and an inquest is expected to be held in Britain. 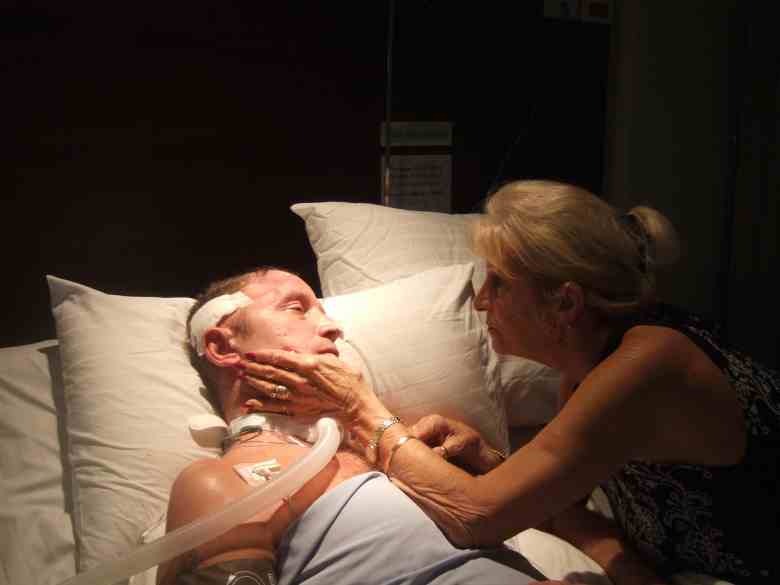 Paul Ayling finally passed away at the Ramsay Neurological Services care home in Sawbridgeworth, Herts, where he was diagnosed PSV – Persistent Vegatative State. But despite the family’s complaints that they supplied the names of the killers, police in Thailand say they have made no headway in their investigation. Enquiries are continuing. Paul Ayling, a kitchen fitter and decorator, had been in a coma since November 21st last year when he and his wife Justine were attacked in Hua Hin, where they had gone to live near Paul’s brother, Steve, another builder in the resort. 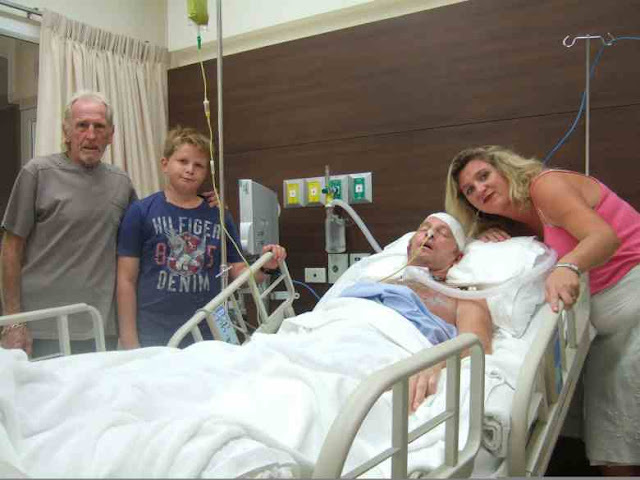 They were riding home on a motorcycle, having taken their 12-year-old son Scott to an international school, when they were attacked by two Thai men who leapt out of the bushes. One landed a blow with a wooden stave caving Ayling’s skull in. Paul Ayling had been in disputed with a Thai contractor over work which he refused to pay. If you refuse to pay us we have other means to make you pay but let us do the best and soft way first. Please also pay the carpenters as they don’t know how to play soft’. Parents Michael and Anita Ayling, who also went to live in the resort, the location of the King of Thailand’s Summer Palace called ‘Far from Worries’, said they had put out a reward and been given the names of Paul’s attackers. ← Previous ‘What’s yer bevvy Jimmy? Black Coke?